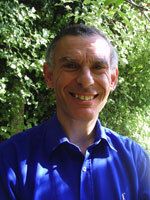 Paul Baker qualified as a City of London guide in 2003. As well as conducting walks in the City and the West End, he has been leading walks in Barnet since 2004. Paul’s background was in school teaching, specialising in French. His wife, Ginette, is French. They have been living in London for over 30 years, the last 28 of them in Barnet, and have two children, Julian and Claire.